Made in Italy food companies are creating new opportunities overseas, with such products as wine and pasta that continue to improve their positions and occupy the first places in world export. Just during the first half of this year, non-European exports record an increase of 11.6% for food products and 15.6% for agricultural ones (according to Istat data). This result is pulled by performances in Asia and America, where the demand of Italian products increases at a fast pace year after year. In China, above all, Made in Italy is getting record increases: between January and May 2013, exports of wine, pasta, oil, and cheeses increased of 22.9%; export of agricultural fresh products even of 65.3%. One of the most appreciated Italian products is wine; its sales abroad will be very close to 5 billions at the end of this year. On the other hand, CIA reminds that just in Russia during the first four months of 2013 the export of our bottles leaped forward to + 338%. 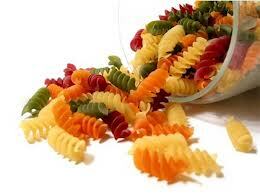 Pasta, fruits and vegetables too make good progress on non-European markets. For instance, during the first part of this year the sales of spaghetti, rigatoni, tagliatelle, and tortellini increased of 61% in the USA and 127% in Russia. The export of fruit and vegetables, that already produces about 4 billion Euros, has still a fair margin of growth, because the world demand, supported by BRIC Countries, changed from 70 to 170 billion Euros in a few years.